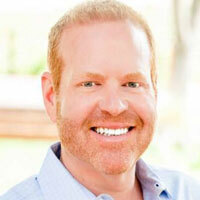 Scott David Brennan is the founder of Access Publishing, a business marketing firm based in San Luis Obispo County. His company has over 1,000 clients who depend on the company for marketing and advertising solutions. “Access Publishing is focused on getting our clients ahead of the curve when it comes to cutting edge marketing solutions for small business,” Brennan says. Access Publishing provides local business marketing at multiple levels. It is a local leader in online marketing, Internet advertising, local search engine optimization, SEO, writing, graphic design and web design. The company publishes the leading tourist magazine in the county, San Luis Obispo County Visitors Guide, Paso Robles Daily News, A-Town Daily News, North County Access, Your Cambria Phone Book, Templeton Community Guide, Heritage Ranch Directory, and the Oak Shores Directory. Brennan’s experience in writing, design, and management began in print, as a newspaper reporter, editor, and publisher. In 2006 he and his wife Beth launched Access Publishing with one local business directory. Today the company offers more than a dozen products and services with the help of 10 creative and hardworking employees. Brennan studied economics at Cal State University Fullerton and earned a master’s certification in Advanced Internet Marketing from the University of San Francisco, where he studied local search engine optimization. He brings 15 years of hands-on experience in small business marketing. Brennan has given more than 100 seminars and presentations on online marketing and advertising to hundreds of local business people in California. Chambers of Commerce and community organizations like Rotary Clubs and Women in Business groups regularly invite him to speak at their events. If you would like to schedule a speaker on local SEO, call Access Publishing at (805) 226-9890. In 2015, the Paso Robles City Council appointed Brennan to a three-year term as a Paso Robles Planning Commissioner. He enjoys his time volunteering for the city. He is committed to helping Paso Robles grow and thrive and enjoys learning more about city government. 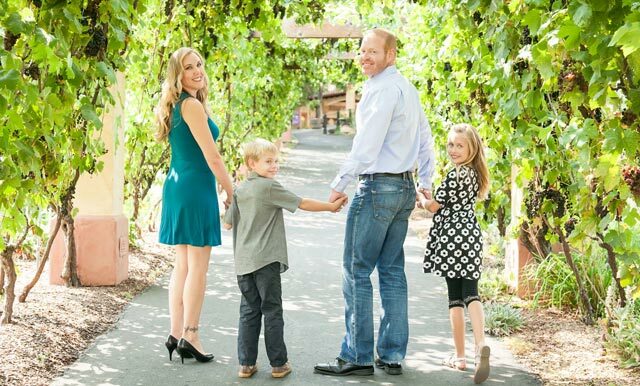 Scott and his wife Beth live in Paso Robles, CA, where they raise two children. When he’s not reading, writing and thinking, Scott enjoys participating in Olympic triathlons, Spartan Races, running, cycling, swimming, weight training, playing racquetball, and SCUBA diving. Check out his personal blog here – The desk of Scott Brennan. Whittier, CA. I’m here because the Central Coast is an amazing place to live. The people, the food, the wine and the culture here are all outstanding. It’s a great place to raise a family. I am passionate about helping people grow their businesses with effective marketing strategies. It’s amazing to see local businesses with no Internet presence come to us and succeed. We will build them a search engine optimized website, create an online marketing plan, and watch their incoming calls and sales rise. Fitness. I started with cycling, running and Crossfit four years ago. I moved on to racing Olympic triathlons and I’m looking forward to my first Ironman. My addiction is playing racquetball. 4. What’s the one problem you are best at solving for your clients? Everyone’s business is different. I really enjoy learning about people’s business and finding the right solution for marketing their brand. 5. Anything else you’d like to tell people about yourself? In the last few years, I’ve given over 100 presentations on Search Engine Optimization to more than 1,000 business leaders. I enjoying educating and helping people grow their businesses. I enjoy reporting and writing news. One of my first jobs was as a newspaper reporter. Newspapermen say the ink gets in your blood. That’s true even if it’s digital ink.